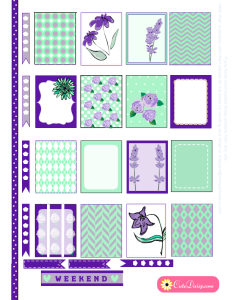 Many ladies has asked me to make stickers in mint and purple colors with flowers for Spring season so I made this Mint and Purple Floral Stickers Kit for Planners. This is a whole kit comprising of two pages with half boxes, full boxes, checklists, to do lists, weekend banners and whatever I could think of. 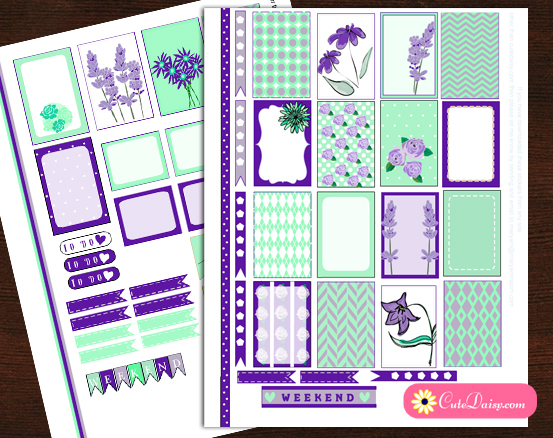 I have made these floral stickers for happy planner and Erin Condren Life planner boxes. All these stickers are for personal use only. Each and every graphic in these stickers is drawn by me and took real hard work so please do not steal my work and if you need to share my work, please share the links and not the files. 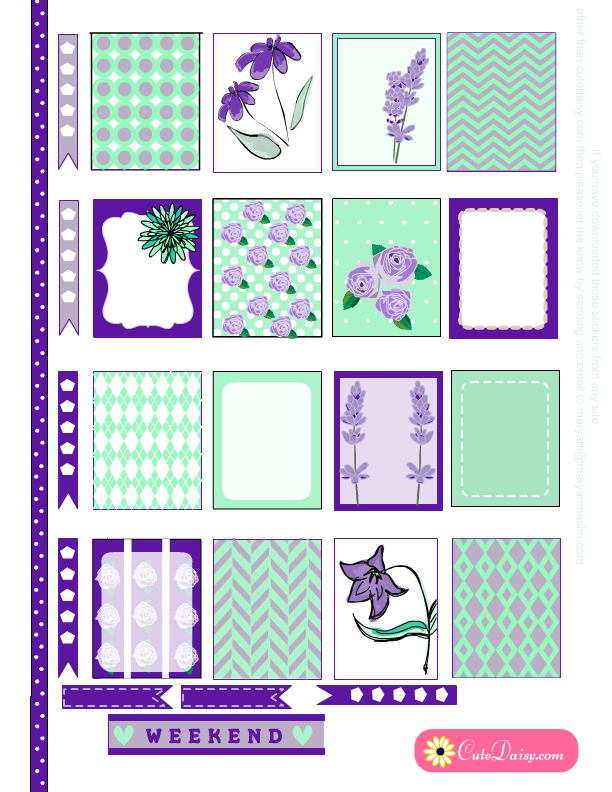 I was very much in love with lavender flowers lately so i have made these stickers with lavenders, roses and many other flowers for the spring season. 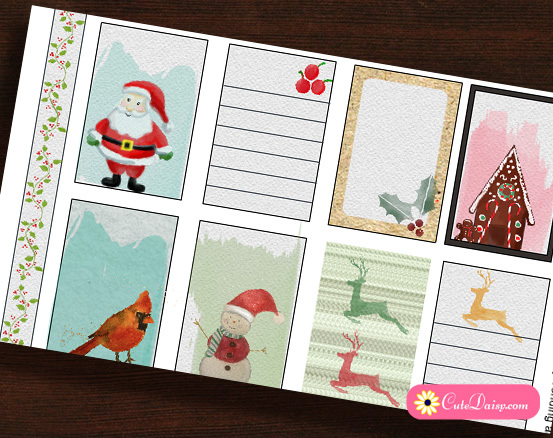 You can mix and match these stickers with the green stickers in my Marshmallow stickers kit. 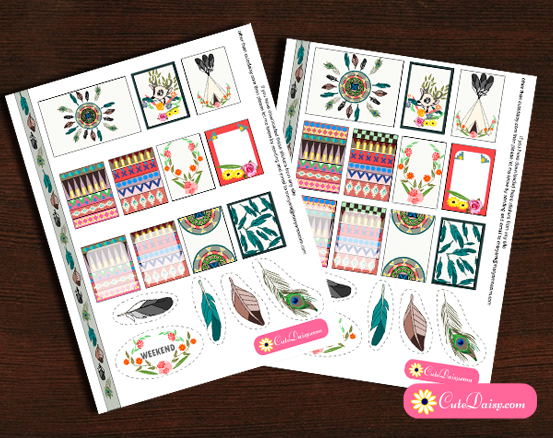 I personally just love love these stickers that I made today and please do not forget to share your comments with me as well. 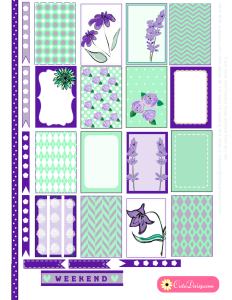 Click here to download first set of this kit and click here to get the PDF file for the second set for your Happy Planner. 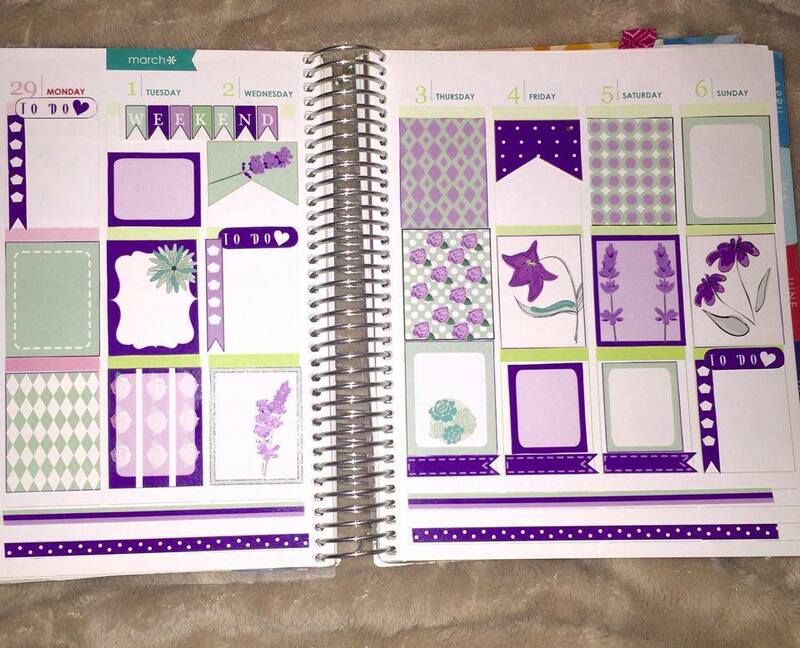 I have also made these stickers in the size of Erin Condren planner boxes. Click here to download the first set and click here to download the second set. Please please please do not forget to like this post, leave a comment below and share it on facebook and other social media. You always make the prettiest stickers. Thank you for your generosity!! This one is probably one of my top favorites. I’m so thankful for the half boxes!!! I use them all the time. You seriously worked magic on this one. Can’t wait to use it next week! When I saw these they just took my breath away. right away my thoughts were I want to run in a field of spring time flowers. Just by looking at these I can smell the wonderful lilac. 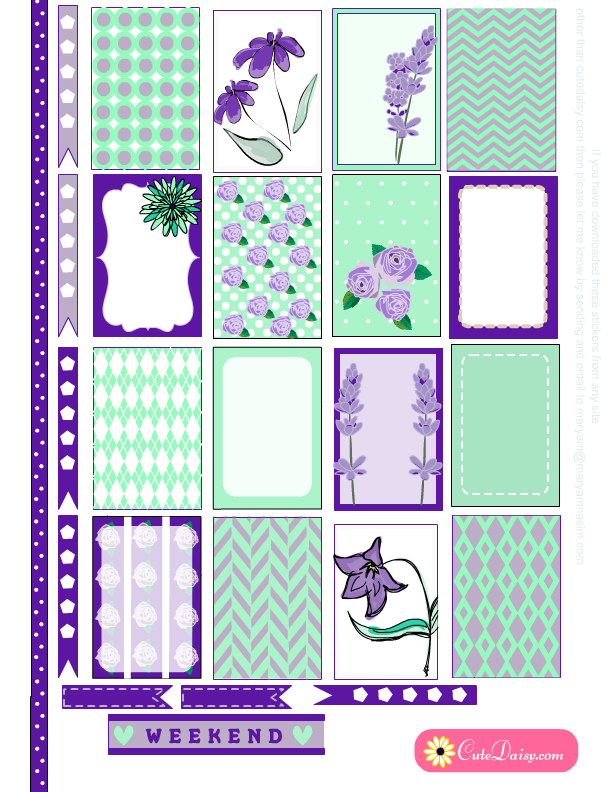 Love these stickers, it reminds me that spring is just around the corner.